Ebola, ISIS, Europe, China, Russia, retail sales, manufacturing. Take your pick. Wednesday’s sell-off in the market is being blamed on all of them. But it doesn’t really matter what you blame it on. The bottom line is that the sell-off in stocks is just a return to normal. It is normal to see the market sell off by about 10% every 18 months or so; but it has been three years since the last time that happened. It is normal for stocks to exhibit volatility; but volatility has been almost nonexistent since 2011. 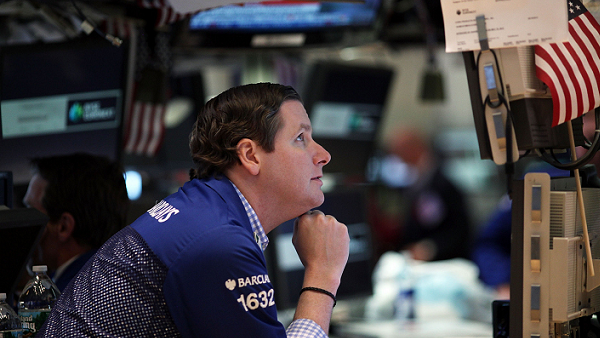 Long-term investors should welcome sell-offs like Wednesday’s. This doesn’t mean stocks won’t go lower before they go higher. But if you’re investing for the next 5-10 years (rather than for the next day or two) sell-offs often represent good buying opportunities. That’s why you should always have some cash available so you can take advantage of sell-offs. And you should always make sure that you have a proper allocation to different asset classes and that you are properly diversified within asset classes. Also, don’t forget to rebalance your portfolio from time to time. And here’s something else to consider. The 10-year Treasury bond now yields less than 2%. There are many stocks that pay dividends higher than that! In other words, you are guaranteed to make almost no money in bonds. With stocks, you stand the chance for capital appreciation over the long run and you can get paid a decent amount while you wait. Here are few of my favorites right now: Verizon (VZ) yields close to 5%. It should benefit for quite some time from the roll out of new iPhones. McDonald’s (MCD) has a yield that is close to 4%. The stock is depressed due to troubles in China and Russia, but those will eventually pass. Intel (INTC) just announced outstanding earnings, yet sold off on the news. It yields 3%. Given the low yield on bonds, I’d rather put new money to work in stocks like these. Read Vahan’s blog at Janjig.com.